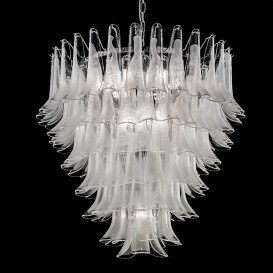 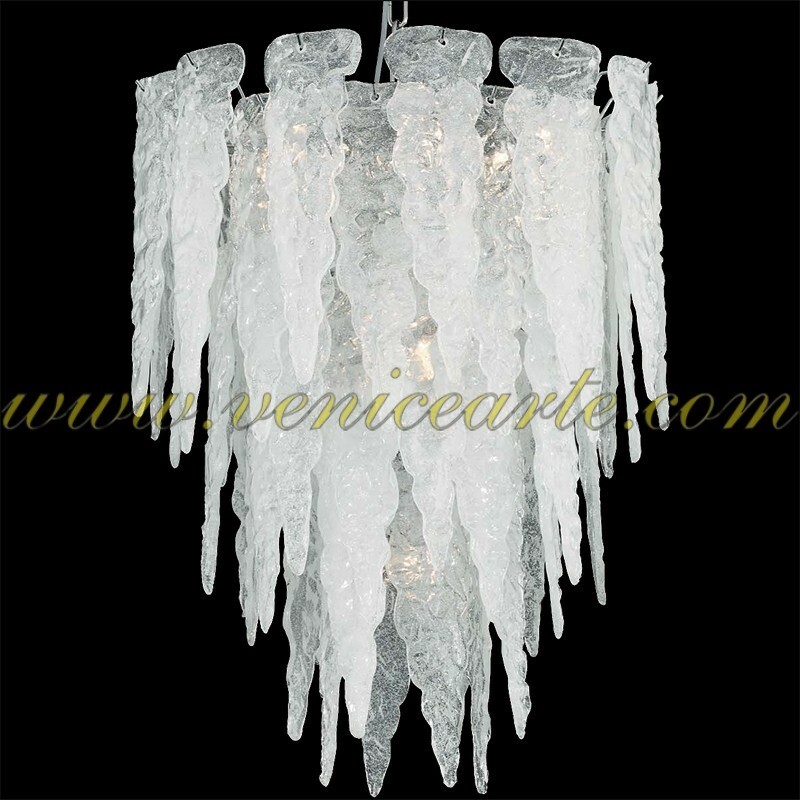 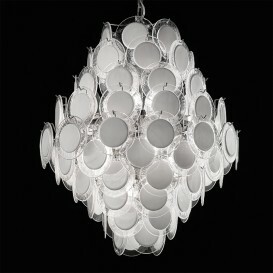 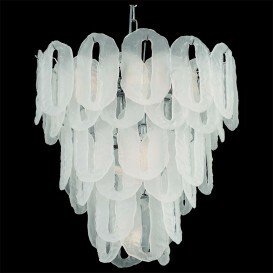 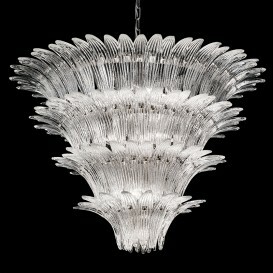 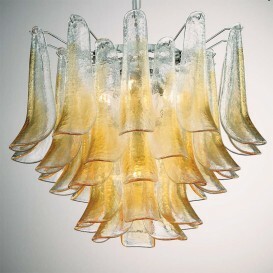 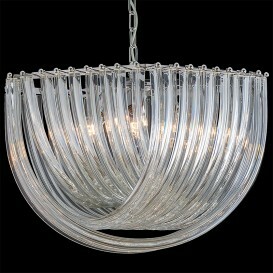 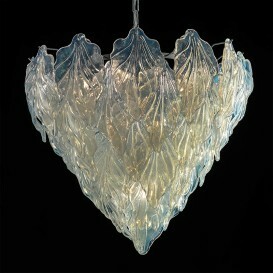 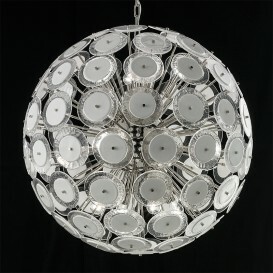 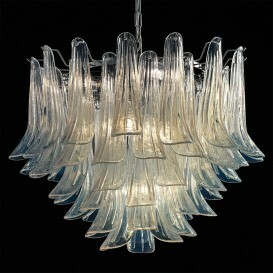 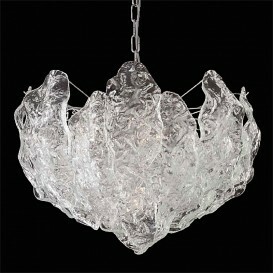 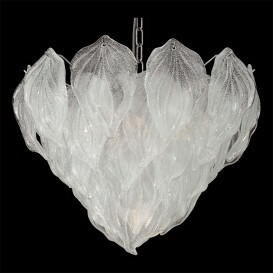 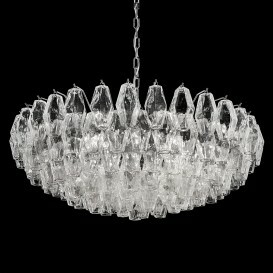 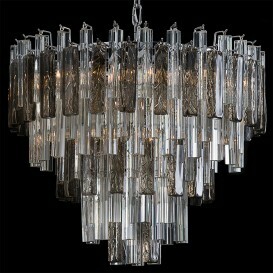 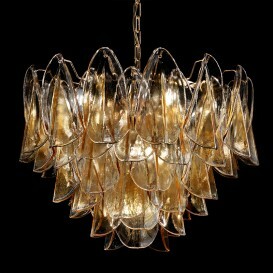 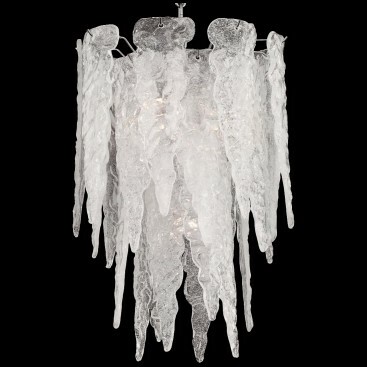 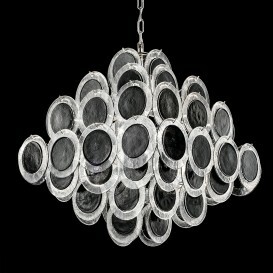 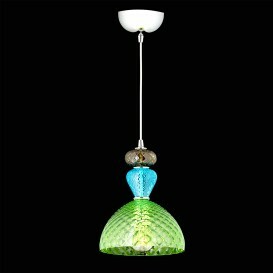 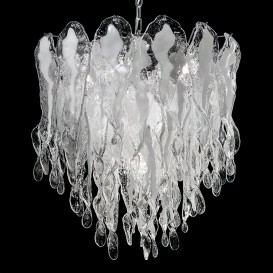 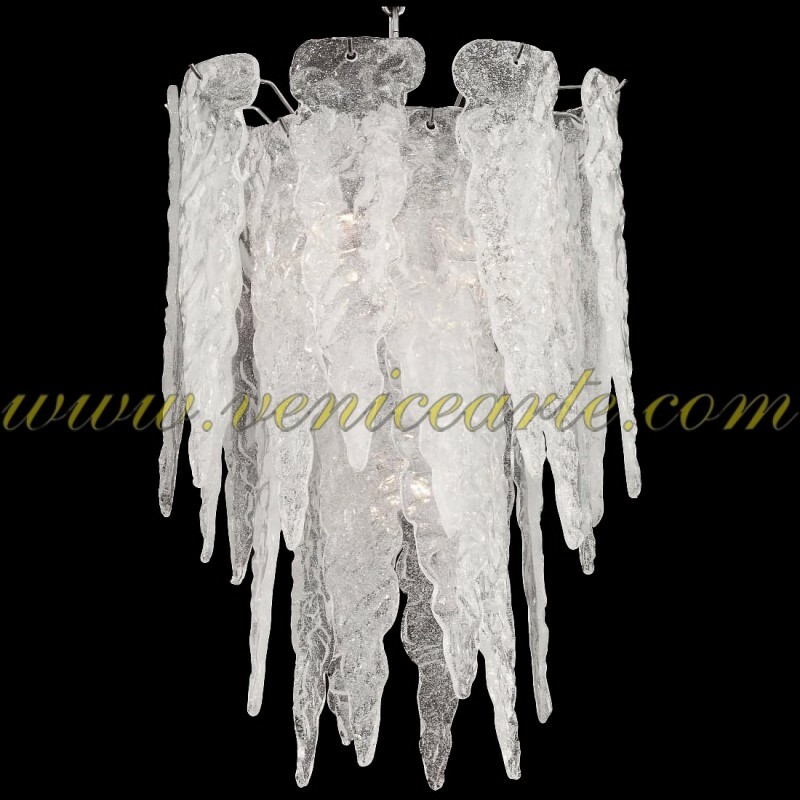 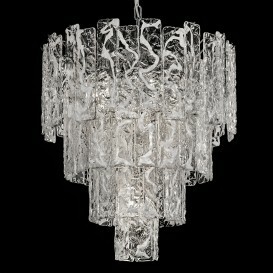 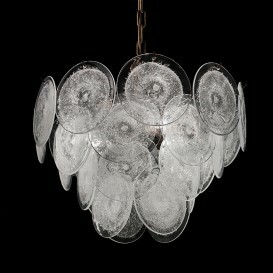 Murano glass chandelier with leaves that seems icy glass drops. 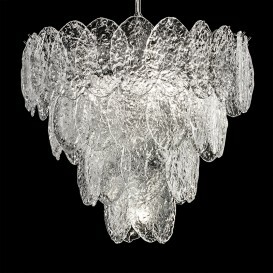 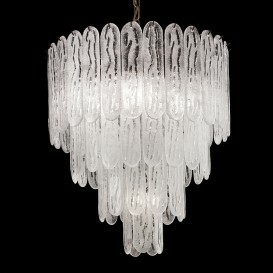 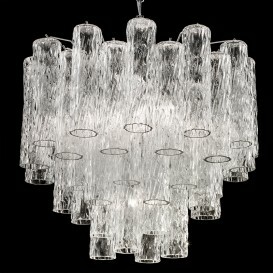 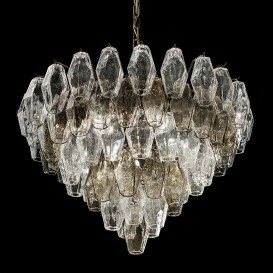 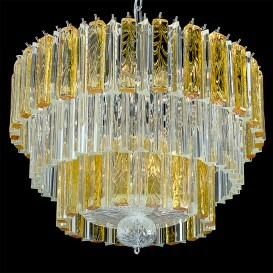 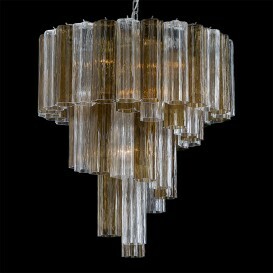 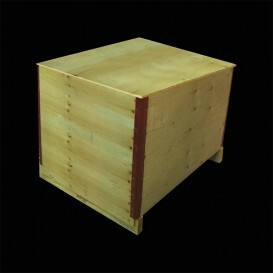 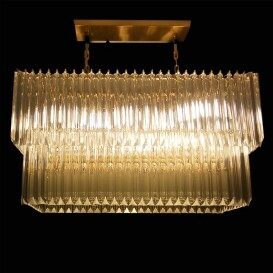 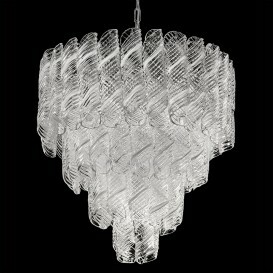 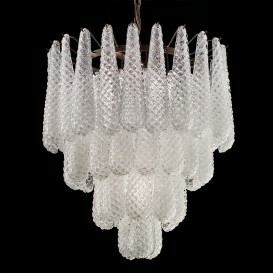 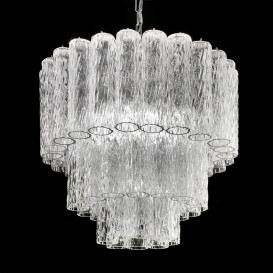 Crystal "Pulegoso" with silk decor. 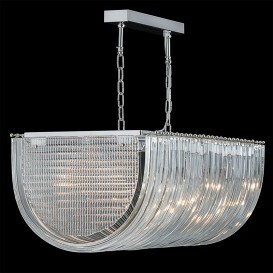 Chrome frame.